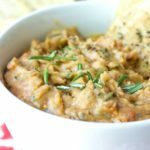 This Tuscan White Bean Dip has creamy cannellini beans blended with rosemary, sun-dried tomatoes and a hint of white balsamic vinegar. 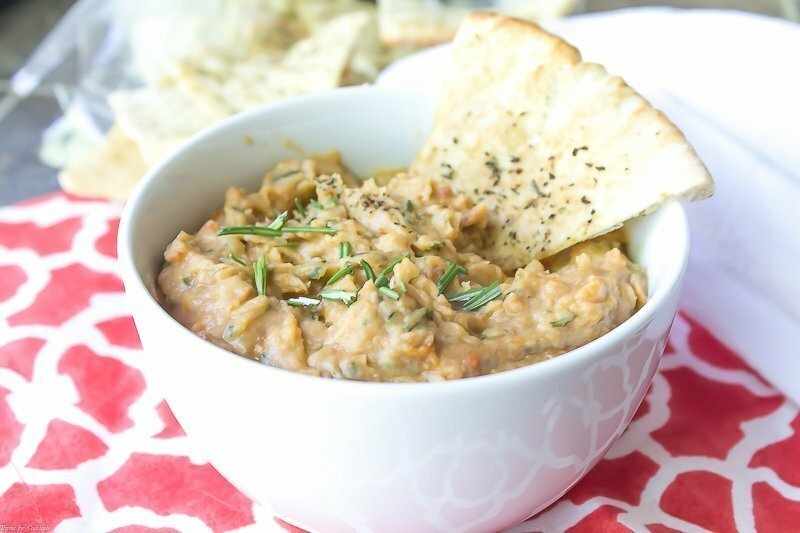 During cool months I am a big fan of a warm bowl of Cannellini Beans with Bacon and Rosemary, which is yummy with toasted bread and a drizzle of olive oil! Now that things are warming up around Arizona I wanted to make a lighter spring-inspired dip that mimics some of the flavors in that dish. 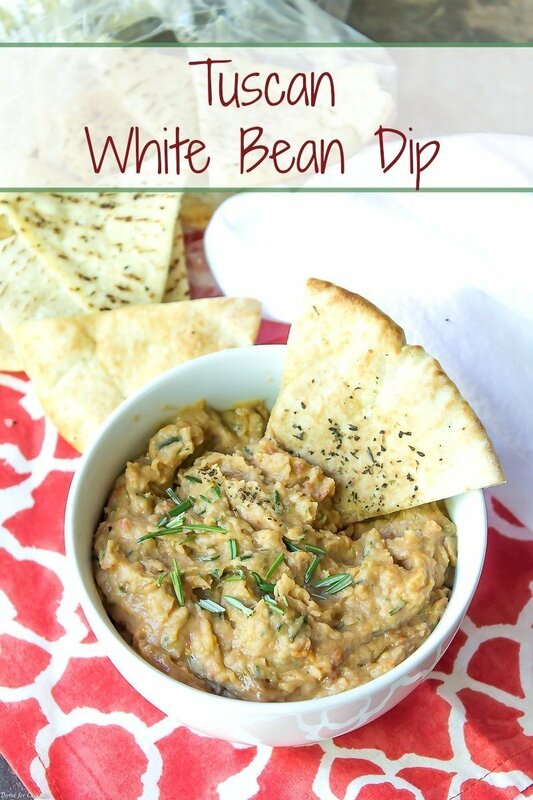 [bctt tweet=”Tuscan White Bean Dip #snacks #happyhour #wine” username=”thyme4cocktails”] You really should check it out, that recipe was posted in May 2013 when things were wayyyyy different on the blog! In fact I just finished adding text, resizing the (scary looking) pictures and inserting a recipe plugin. Enjoy~ Loriann I promise white balsamic vinegar will change your life! 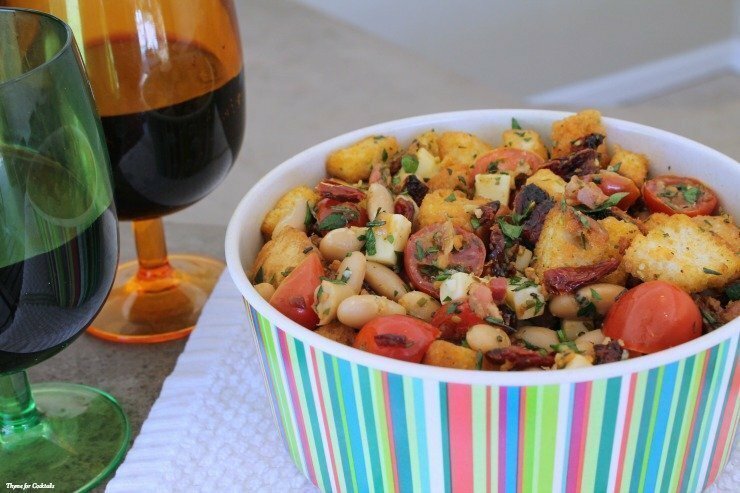 You might also like my Rosemary White Bean Panzanella Salad too. It has a lot of the same fresh, delicious flavors. 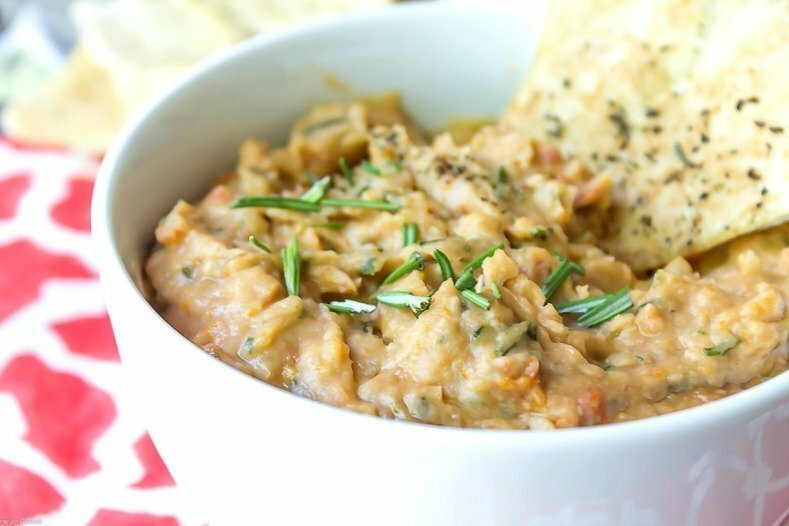 This Tuscan White Bean Dip has creamy cannellini beans blended with rosemary, sun dried tomatoes and a hint of white balsamic vinegar. Add garlic, tomatoes and rosemary to a food processor. Pulse to chop. Add beans and vinegar, pulse to puree. Drizzle in oil while pulsing. Add more oil to reach desire consistency.